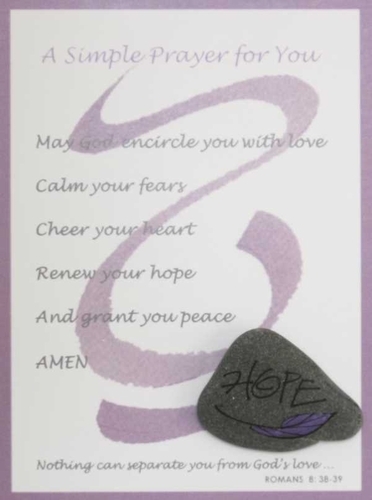 A simple prayer and a token of hope to encourage patients and their caregivers. These 3.75” x 5” prayer cards are packaged in a cello sleeve with a Lake Superior rock, hand painted by Credo’s artist, Marva Sheriff. Just the right size to tuck into a greeting card.